What is the Fujifilm Instax Square SQ20? The appeal of instant photography is no secret. With the press of a shutter button, you’re just a few seconds away from holding a physical image – one you can share with friends right away, without messing around with Bluetooth or the Cloud. Packs of instant film can be expensive, though. There’s no guarantee your shots will come out the way you want them, and it’s impossible to make multiple prints of the same photo – problems you just don’t get with digital. A hybrid approach should be the best of both worlds, and that’s exactly what Fuji is going for here. Like its predecessor, the SQ20 is a cross between a digital camera and instant camera – hence its size. The Instax SQ20 is an updated version of the SQ10, Fuji’s first hybrid instant camera, which let you preview your photos before printing on an LCD screen. This new model does the same, but also gains the ability to record short video clips, digitally zoom before pressing the shutter button, and add even more Instagram-style effects to your photos before you print them. 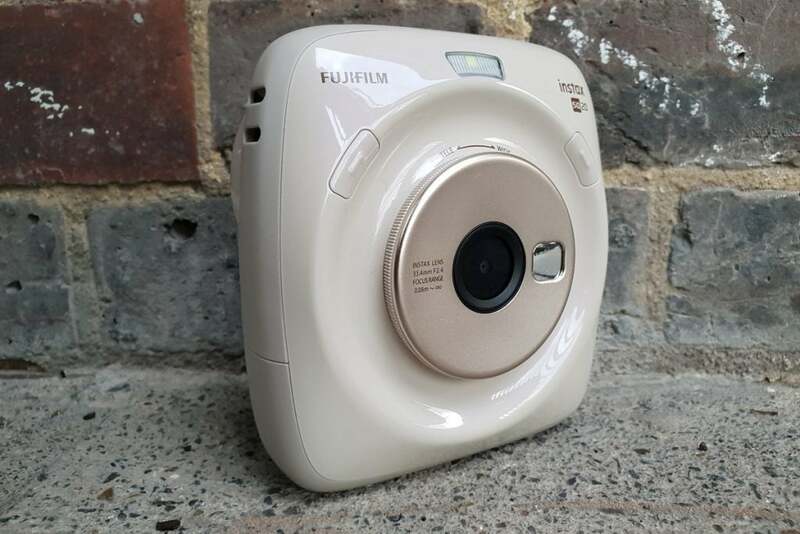 The camera retails for £179, and is Fuji’s third camera to use its increasingly popular Instax Square format film. Like the rest of Fuji’s Instax range, the SQ20 is moulded from plastic. This helps keep the price low, but the glossy finish and reassuring weight stop it from feeling cheap. The beige colour of our review sample feels like an odd choice in light of the more colourful models elsewhere in the range, though. The square shape matches the square photos spat out from the top of the camera, and a shutter button on either side of the lens makes the SQ20 suited to both left- and right-handed shooting. These can be customised so one toggles through the different shooting modes instead, and is far faster than using the onscreen menus. Moulded thumb grips on the back side help you keep film hold of the camera. The shutter buttons on either side of the lens make it suitable for left- and right-handed shooting. A mirror on the lens barrel makes it much easier to line up selfies than with the older SQ10. 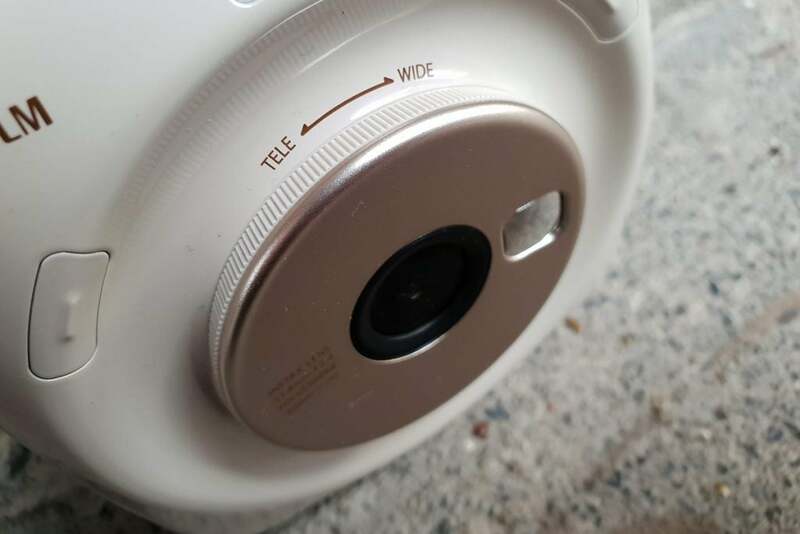 The lens can also be twisted left and right to zoom in and out by up to 4x, but this is digital zoom only (so effectively just cropping your photo). 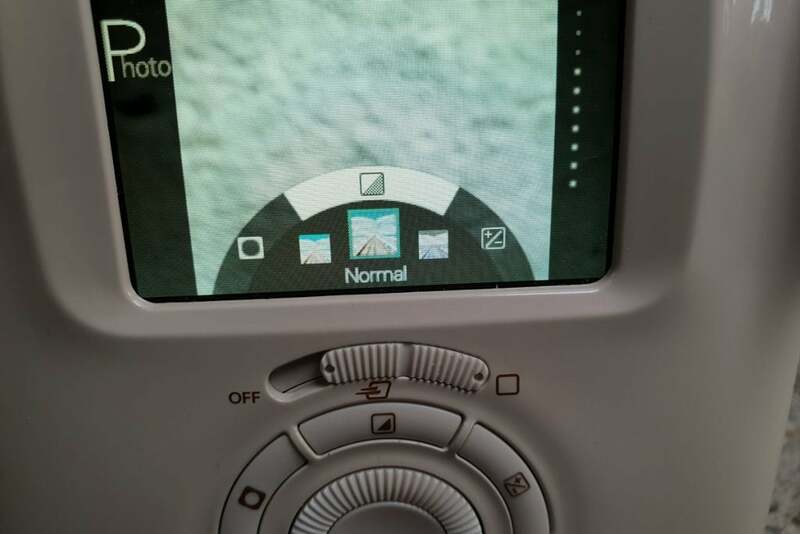 All the other buttons are found on the back of the camera, beneath the 2.7in LCD display. A scroll wheel makes light work of navigating through menus and reviewing photos, while dedicated buttons let you tweak exposure, vignetting and picture effects on the fly. A sliding switch above these controls turns the camera on, and toggles between still and video shooting. A second switch at the top of the camera opens the film tray, with a safety release that stops you accidentally opening it and ruining any remaining film inside the camera. A protective cover at the side hides the microSD card slot and microUSB charging port, which can also be used to transfer files from the camera’s internal memory to a PC. With no Wi-Fi or Bluetooth, this can make downloading digital versions of your photos a bit of a chore. Unlike every other Instax camera, the SQ20 doesn’t have an optical viewfinder. Lining up your shots is done entirely using the 2.7in, 230k-dot LCD screen. This is both smaller and lower resolution than the older SQ10, but is still largely detailed enough to give an accurate view of your subject before pressing the shutter button. There’s no viewfinder on the SQ20, so you’re reliant on the 2.7in screen for framing shots and choosing shooting modes. Colours are fairly vibrant, and the onscreen menus and icons are designed specifically for the scroll wheel so navigating between them is a breeze. It does all look rather basic, though, and switching between effects and filters in live view takes a second as each one applies. With only limited contrast, the screen tends to make your photos look more exposed than they do once you print them. This was an issue with the SQ10, and while it’s not quite as problematic as before, it pays to dial down the exposure by a third of a stop so digital and analogue images are a closer match. The SQ20 is a fully automatic camera, with a fixed f/2.4 aperture and ISO 100 sensitivity. When shutter speed drops below 1/30, ISO raises up to ISO 1600, but you have no influence over these base settings. You can at least choose whether the flash fires or not, and whether your photos are printed automatically or only when you manually press the print button. Shooting modes carried over from other Instax cameras include bulb and double exposure modes, which come into their own here thanks to the digital display. You can review your shots, see what works and what doesn’t, and only print the best photos – saving expensive film for just the shots you want, and not the ones that overexposed or were out of focus. The screen lets you review shots before printing – a key difference between the SQ20 and standard instant cameras. Instagram-style colour filters can be added before or after you press the shutter button, but the collage mode only works while you’re shooting, not after. These aren’t applied to the digital image, leaving the original for sharing or editing on a computer later. Press the print button when scrolling through your snapped photos and you can create a mini contact sheet of either four or nine photos, but nothing in between. New modes include timeshift collage, which captures four shots between 0.2 and 2 seconds apart, and video capture. This is basic at best, but you can then scroll through individual frames and print straight from your video clips. The built-in battery is comfortably able to get through several packs of film, lasting multiple days of testing before it needed to recharge. The built-in storage can hold around 50 still images, but even a small microSD card can hold many thousands more. Downloading digital versions of photos shot on the SQ20 reveal square cropped, 1920×1920 images that are rather flat and lacking in detail. Compare them to even an entry-level smartphone and the Instax comes off worse. Instax film goes big on contrast, with some colours amped and others a little more subdued. Noise is particularly noticeable when shooting indoors and in low light, with the built-in flash only able to do so much to compensate. Brighter, outdoor scenes can struggle with exposure, too. Video clips tick along at 15fps and without any sound, so are really only useful for pulling individual frames from a dynamic scene, rather than relying on the camera for recording. Shots from the SQ20 favour clarity over the more dream-like effects of Lomo instant cameras. However, to treat the SQ20 purely as a digital camera would be missing the point. 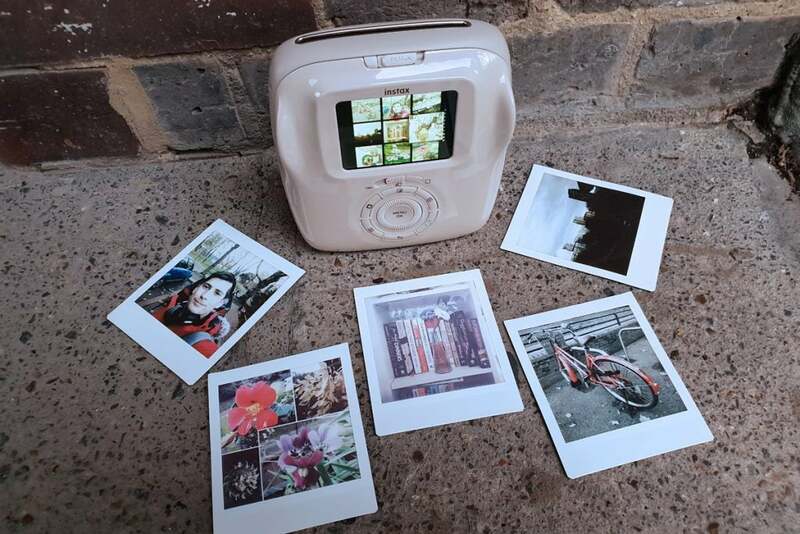 Print any of your photos and the low resolution proves perfectly adequate for an Instax Square format photo. Well-lit subjects show ample levels of detail, and low-light shots work much better, with less visible grain. 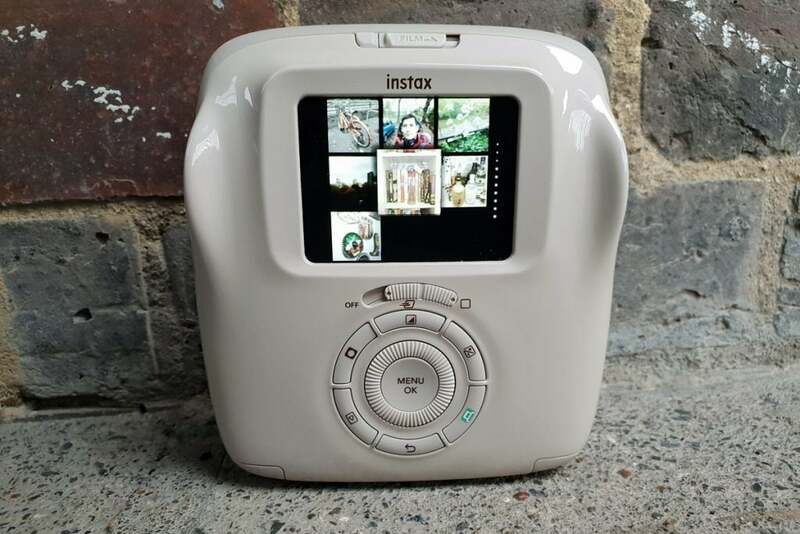 Instax film is contrast-heavy and delivers an iconic mix of bright colours and more subdued hues all in the same image, albeit not to the same extent as Lomography’s dream-like photos. If you value clarity over a whimsical aesthetic, the SQ20 certainly delivers. Why buy the Fujifilm Instax Square SQ20? The SQ20 is a basic digital camera at best, but does a fantastic job of treading the middle ground between digital and instant photography. Being able to pick and choose which photos you print and which are consigned to memory card means you aren’t worried about bankrupting yourself with packs of film. You’re free to experiment with all the effects and modes, and get creative with your edits, but still have that all-important physical photo once you’re happy with the result. 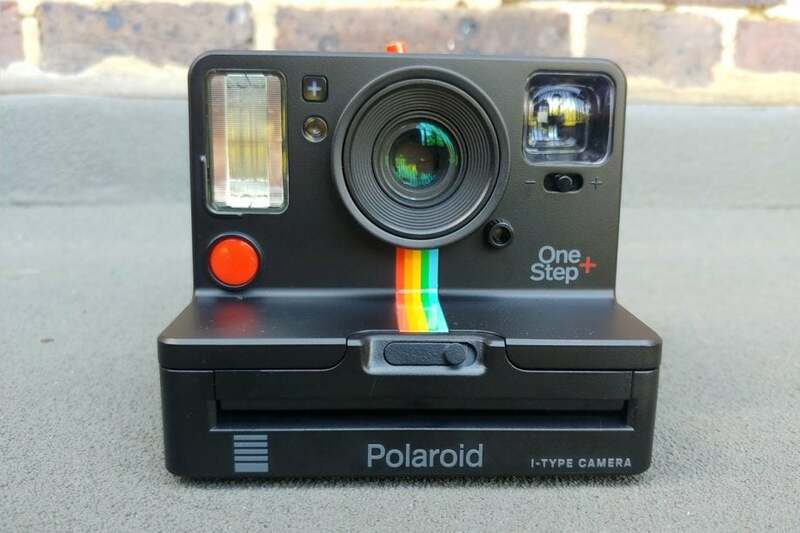 As it won’t replace a digital camera and is outclassed by most camera phones, the lack of connectivity isn’t really a dealbreaker, but photographers wanting more control over their images will have to look for a camera with more manual controls, like the Polaroid Originals OneStep+, even if that means running the risk of a few unusable prints. A true hybrid camera, the SQ20 is even more flexible than its predecessor thanks to smart additions like video capture, digital zoom and Instagram-style filters. 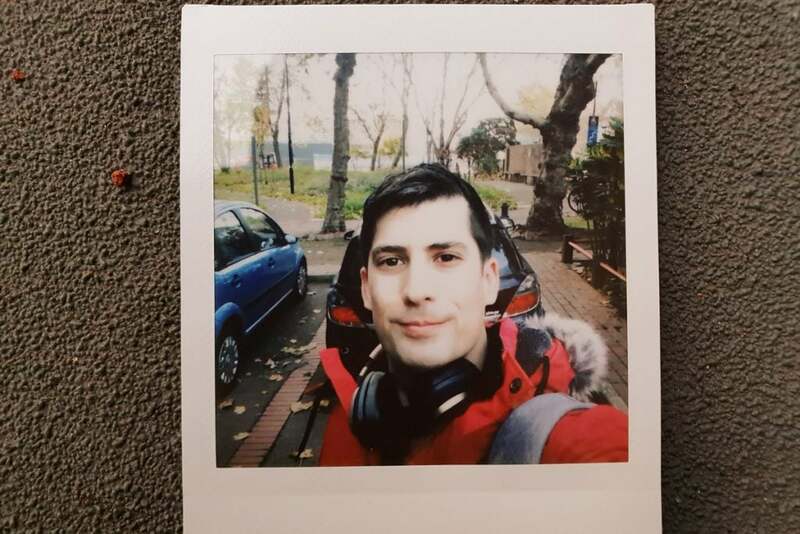 The design isn’t as exciting as some rivals, and being able to preview your pics before printing might feel like cheating to instant camera purists, but it’s still an effective stepping stone between digital and analogue photography. Bluetooth and a smartphone companion app make this one of the more versatile instant cameras, if not quite as multi-purpose as the SQ20. Picture quality is mixed, and film isn’t the cheapest, but the retro design certainly looks the part. One of the only other hybrid instant cameras out there, Polaroid’s inexpensive Snap Touch shoots credit card-sized ZeroInk photos that can’t match the SQ20 for quality, and has an even more basic digital interface. More of a fun toy than a serious camera. 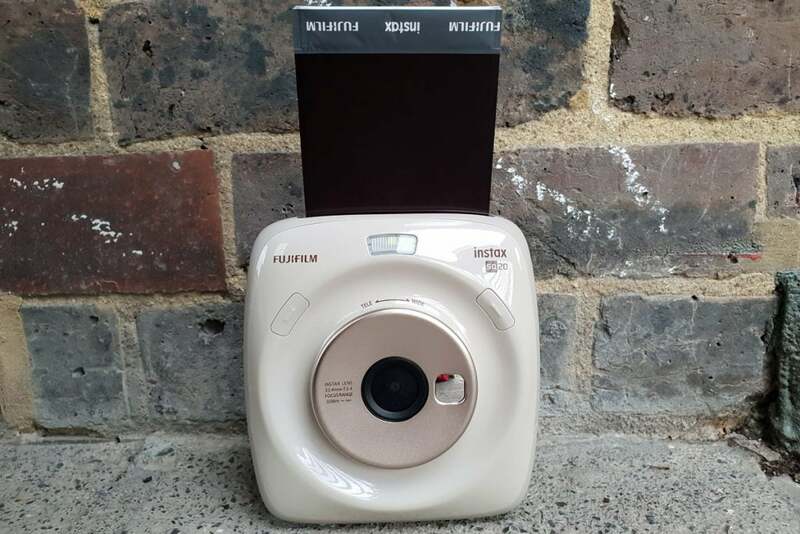 The post Fujifilm Instax Square SQ20 appeared first on Trusted Reviews.